are the defining fashion accessory. 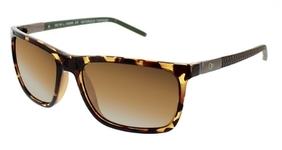 Use your mens sunglasses to complement your outfit, accentuate it, embellish it, or determine it. The choice is yours! We have put together a list of picks that you're bound to like. 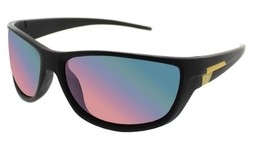 Eyeglasses.com has a wide variety of men's sunglasses in stock for you. You can easily make your own prescription sunglasses. To do this, first pick out a frame you like from the women's sunglasses category, or the most popular sunglasses category, or from Designer Sunglasses. Then use the Lens Wizard to custom design a pair of sunglasses. If you want plano, non-prescription vintage lenses, you could check out our selections of Polarized Sunglasses. For a truly classic look, try the Ray Ban Aviator sunglasses model. In fashion for over 70 years, the Ray Ban Aviator sunglasses model never goes out of style. The Aviator and the Ray Ban Wayfarer are two of the most popular mens sunglasses styles of all time. Some of the best designer sunglasses brands for men include Gucci Sunglasses, Versace sunglasses, Calvin Klein sunglasses, Ray Ban sunglasses – the list of designer sunglasses brands we carry online goes on and on. Here, we have selected some of our favorites, together with some of our most popular sunglasses models for you men to check out online.